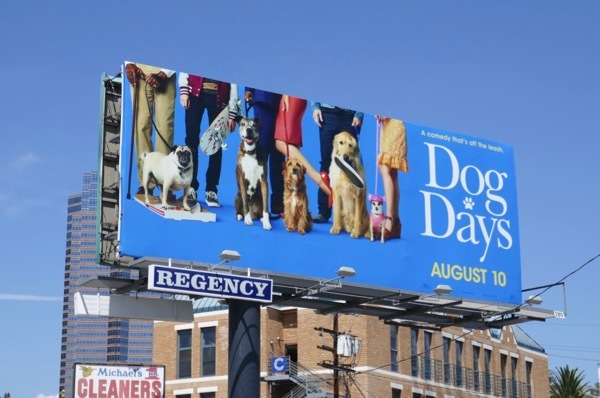 Dog lovers are sure to love these billboards featuring man's best friends, although at first glance you may think these Dog Days ads are for a dog walking app and not for a new summer movie. 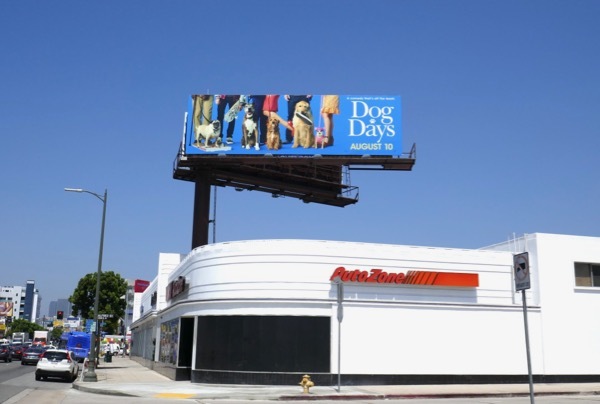 Ken Marino directs an ensemble cast of humans and hounds in this comedy about an interconnected group of people in Los Angeles brought together by their canine counterparts. 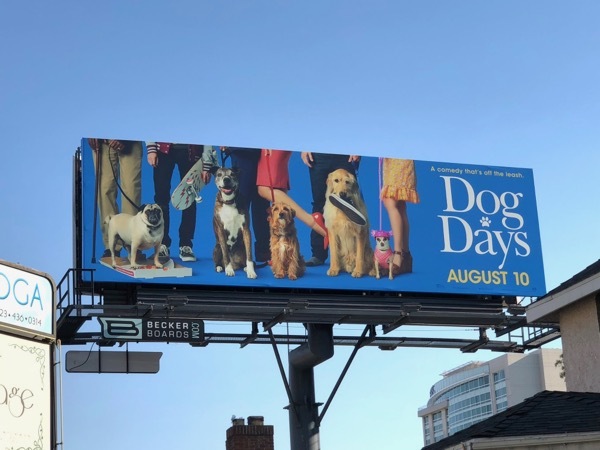 Old dogs, new dogs and stray dogs join the likes of Eva Longoria, Nina Dobrev, Vanessa Hudgens, Rob Corddry, Tig Notaro, Finn Wolfhard, Ron Cephas Jones and more, to warm your heart this August. 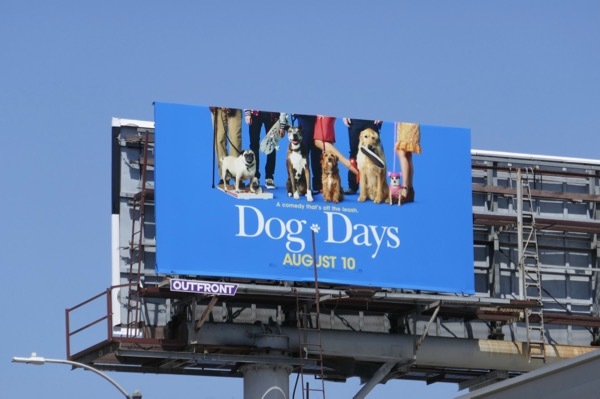 These movie billboards were snapped along Highland Avenue, Olympic Boulevard and Pico Boulevard from July 6 to July 24, 2018. 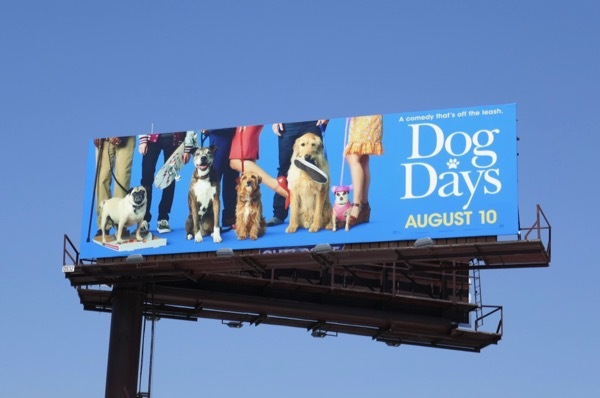 For more canine-themed billboards you can also enjoy these movie billboards for A Dog's Purpose, these Marmaduke movie billboards and these film billboards for The Secret Life of Pets. 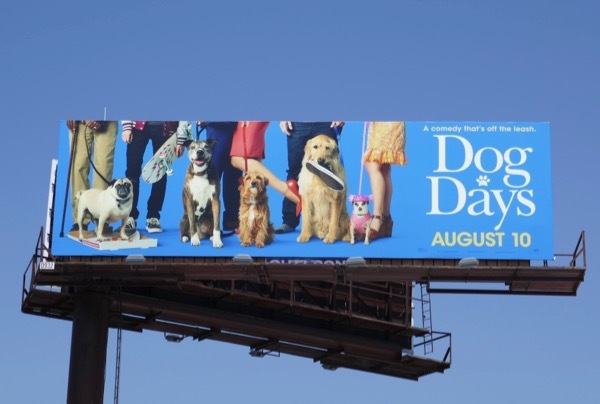 Look at those adorable faces, how could you not want to go along and enjoy these Dog Days of summer.